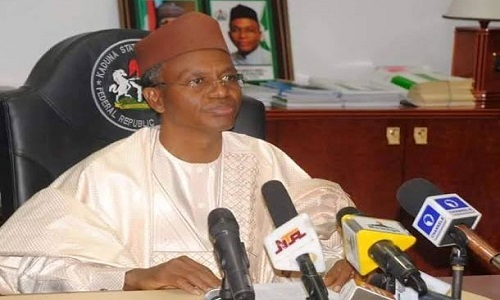 APC has revealed their support for Nasir el-Rufai after a recent statement that several Nigerians and politicians felt was harsh and could cause violence. On behalf of APC, Mallam Lanre Issa-Onilu said; “We stand fully by the statement as regards any country that thinks we are a colony; that we have a right to defend every inch of this country; and we are not a Banana Republic. So, what Governor El-Rufai said, clearly, is the position of this government, that we are proud as Nigerians and we are ready to defend the integrity of this country and that any country that thinks in the name of election will want to interfere and dictate to us or intimidate us in any way, it is unacceptable. That is exactly what Governor El-Rufai has said. The PDP can twist it the way they want. Governor El-Rufai never said people should not come and observe or monitor elections. And he was not referring to people who are genuinely coming to monitor and observe the elections. Nigerians also go to other countries as monitors and observers. So, that is acceptable to us, we welcome peer review. What we don’t welcome and what is unacceptable to us is any country thinking we are a colony, we are not. We are a sovereign nation”.